Mike was elected Mayor of Copeland in May 2015. 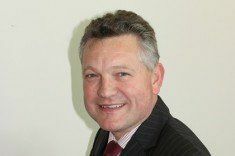 He began his working life as an apprentice for Sellafield then spent 26 years working in financial services with companies such as Pearl, Axa and Zurich in senior corporate roles working all over the UK. Mike spent many years involved in football coaching. He re-established Copeland schools playing representative football, taking teams to national football festivals in Durham and the Isle of Wight. Since his election to Mayor of Copeland, he has had little time to pursue hobbies. Any spare time he does have is spent with his family and friends and watching Egremont Rugby League where possible. Mike lives in St Bees and is married to Louise. He has two grown up children, Megan and Zac.